The appraiser population is getting older. According to a recent survey by McKissock, 42 percent of appraisers in the U.S. are planning to retire in the next 10 years. 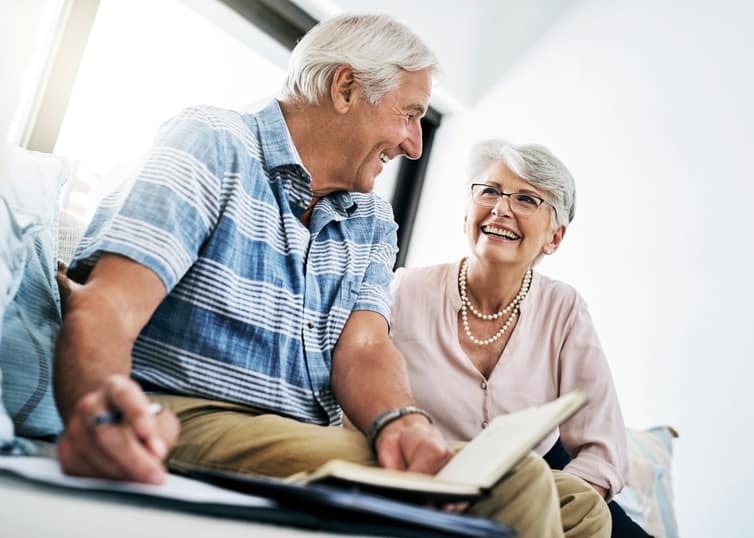 Whether or not you’re among that population currently planning for retirement, it never hurts to give a little thought to when you might retire—and whether you’ll be able to retire when you want to. For most people contemplating retirement, the two great fears are that they will outlive their money and that they won’t know what to do with themselves. Many appraisers are self-employed. This means that they won’t have a pension plan unless they’ve set one up for themselves. Many of them have incorporated, to minimize their Social Security taxes—which means that they’ll collect very little from Social Security when they retire. Many appraisers work independently, and thus don’t derive much of a social life from their job—and fear isolation in retirement. If you like your work, and can still do it, why retire? But if you have had enough, and want to spend your remaining time enjoying your family or crossing items off your bucket list—and if you have enough money to keep yourself fed and sheltered for the rest of your life—here are some questions to consider. 1. Are you free of high-interest debt? Your home mortgage is likely to be low-interest debt, and if you’re paying it off, you’re helping your credit rating—so don’t worry about paying down the principal. For some people, it’s a great psychological lift to know that their home is completely paid for. However, the mortgage interest that you’re paying is tax deductible (except for the largest new mortgages), and you might be better off investing your money, instead of using it to pay off what’s left of your home loan. If you have other, higher-interest obligations—such as credit card debt or short-term loans—get them paid off before you even think about retiring. 2. Do you have a plan for the rest of your life? We all have times in our lives when all we want is to do nothing—and doing nothing can be wonderful, for a little while. But if that’s your plan for retirement, you’ll be bored very quickly. Some people retire from their regular jobs so that they can start a new business: one that might not pay very well but is more interesting than their old job. If you want to retire so that you can devote your time to an all-consuming hobby, that’ll work, too. But stay busy. If you’re worried about whether your social life will suffer because you’re interacting less with your co-workers, you’ll have to be proactive: develop social circles, organize occasional dinners, teas, barbecues. Volunteer for more grandparenting duty, and charitable work, possibly through your religious group. Many people use their retirement to further their education—just for personal satisfaction. Many institutions, from community colleges to large universities, offer discounted tuition to seniors, or special low-cost courses. Some will allow older people to audit classes at no charge. 3. Do you have enough to retire on? Different financial advisers offer different methods of determining how much you’ll need. Various websites provide calculations based on how much money you have now; how much you plan to contribute annually to your retirement fund for as long as you continue to work; how much you can expect to get from Social Security and other pensions; what your annual expenses are likely to be; and how long you expect to live in retirement. For most people, it’s likely that their expenses will stay fairly constant (adjusting for inflation), as they’ll spend more on leisure and recreation in their early years of retirement, and more on healthcare in the last years. Unless you are a trained financial planner, it’s best to get expert advice on managing your money to avoid any danger of outliving it. Many advisers will suggest that you revise your investment portfolio. Younger people generally can afford to take more risks with their money, investing aggressively in hopes of realizing higher returns, because they will have time to recover if an investment goes wrong, or if the market turns down. Thus, their strategy will usually be geared toward growth. Older people will often choose lower-risk investments that will generate income. They might want to pare down their holdings in growth stocks and put more of their savings into bonds or high-dividend stocks that perform like bonds. However you decide to invest, keep in mind that your portfolio will, in effect, write you a paycheck every month. Many experts advise that your total holdings at retirement should amount to at least 25 times your expected annual expenditure. For example, if you believe you can live comfortably on $60,000 a year, you should have $1.5 million in your portfolio. Watch the markets and the overall economic situation. Your investment returns during the first decade of retirement will be crucial to the growth of your portfolio thereafter. If you retire when the market is starting to turn up, following a down cycle, your investments will probably appreciate for several years, and you’ll be able to build your capital. If you retire when we’re about to go into a “bear market,” the value of your portfolio is likely to drop, and will be tough to rebuild—so maybe you should postpone your retirement for a couple of years. If Social Security is a big piece of your retirement plan, keep working till you turn 70 if you can. Retiring before that could result in lower benefits. Have a healthcare plan in addition to Medicare. Build a healthcare savings account; buy insurance to supplement Medicare. You will probably have to spend $200,000 to 400,000 in your lifetime, for what Medicare won’t cover.